So I have to start by explaining that I love business books. I read a lot of them. For years I have read every business book I could get my hands on. So much so that when I go into a book store and go to the business section and look at the books on the shelf, I’ve read them all. That’s how crazy I am about business books. This is also one of the reasons why I wrote my own business book “On Wolves and Finance” available on Amazon. If you haven’t checked it out, you should go get my book. But I am talking about a different book today. 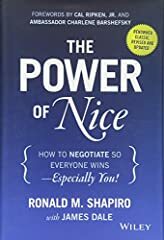 “The Power of Nice.” Now out of all the business books I have read, if I had to pick my favorite, besides my own, it would be this book. That is how much I love it. Here is the book. It is short. It is an easy read. It came out about 10 years ago. And I read it back then, and I actually read it again for this video. And it’s crazy that it is still just as good. The reason why I love this book so much, is because it is very close to my own philosophy on business. I don’t know if you can tell, but I tend to be a really nice guy. It is just my personality. I’m a nice guy, and that’s how I like to do business. And I am constantly shocked that it is not how other people do business. So I have worked about two decades now. 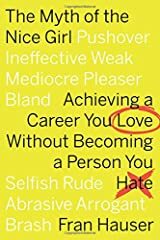 I have had many different bosses over the years, and I am not exaggerating when I say that almost all of them have told me I am too nice to succeed in business. They tell me in the context that I need to be more of a jerk if I want to be successful. I should be a jerk to get customers to pay. I should be mean to people to get them to do what I want. And I just can’t disagree enough with that approach to business. I just find that so crazy. I think the business world is really sick. People somehow have this idea, that if you are nice, you are unable to stand up for yourself. People think you will be a pushover. People will think you cannot make tough decisions. People will think you cannot negotiate. But none of that is true. It is not an either/or situation. You can be nice and stand up for your people. You can be nice and make sound financial choices. I have found from my experience over the years, that it is far better to be nice to people. And I will explain why. When you are a business leader, your job is to get the most out of people. Business is really that simple. You want to get the most out of people and enable people to reach their full potential. If you are nice, people will go the extra mile for you. If you are a jerk, people will not. 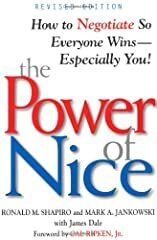 So being nice is very important to being successful in business, which is the exact opposite of what most people say. 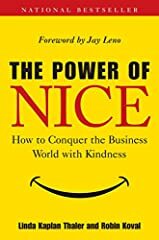 So that’s my review of “The Power of Nice.” My message is really for the people out there in business who are experiencing the same thing I did. If your boss is telling you not to be a nice person, just know that you are not alone. There are people out there, like me, who believe that being nice is central to how you make money in business. And who knows… Maybe you and I will change the crazy way this business world works. Great way of seeing the business world! Nice is better. The Power Book Review | What if Women Ruled The World?